Welcome to another week of party fun! So happy to have you join us this week. I want to thank you all once again for support and patience during the difficult past few months. Thanks so much for hanging in there with me. I am thrilled to report that last week we received the fantastic report that my mother is cancer free! After 2 extremely rough surgeries, she is on the mend and doing so much better. She is not a 100% yet, but making progress. My dad also has Parkinson's disease, and all of this was so hard on him. I think I was just so overwhelmed that it was hard to concentrate on anything! I am so happy to be getting back into my blogging routine. I cannot believe that summer is over for me! I started back to school this week, and my students start Monday. I just wish the summer heat here in the south would take a hike along with my vacation!! It is miserable with no rain in sight, either. My car read 109 degrees yesterday when I left school!! 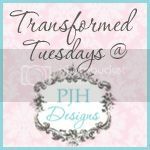 One of my favorite post of the week is Pick of the Bunch Fabulous Features, and I was so happy to get that posted again this week. If you missed those features you can see it here. I also decided to stick with the top 5 most viewed posts, because I love to show off your talent. PJH Designs shared this fabulous Peaches and Cream End Table. I think this is my favorite project, yet, by Peggy! Check out her awesome blog for amazing inpsiration. It's Raining Jelly Beans shared a gorgeous post packed with beautiful wedding centerpieces and overflowing with awesome inspiration. You don't won't to miss this post. 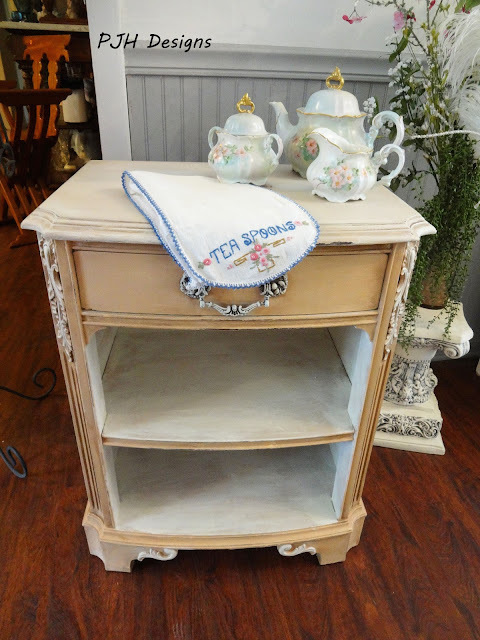 Art is Beauty did a fabulous job with her Milk and Cream Rescue table makeover! It looks awesome. 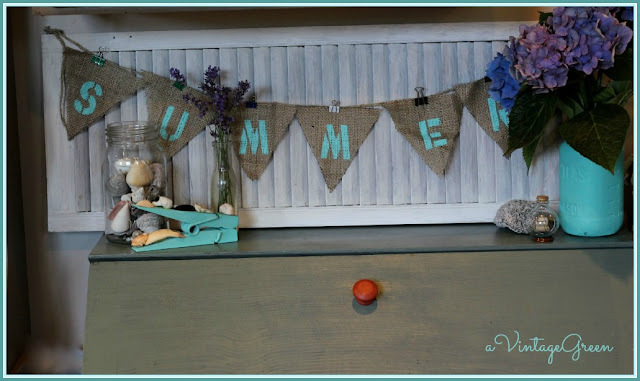 A Vintage Green shared some awesome summer treasure projects. I love the summer banner and the pretty colors! 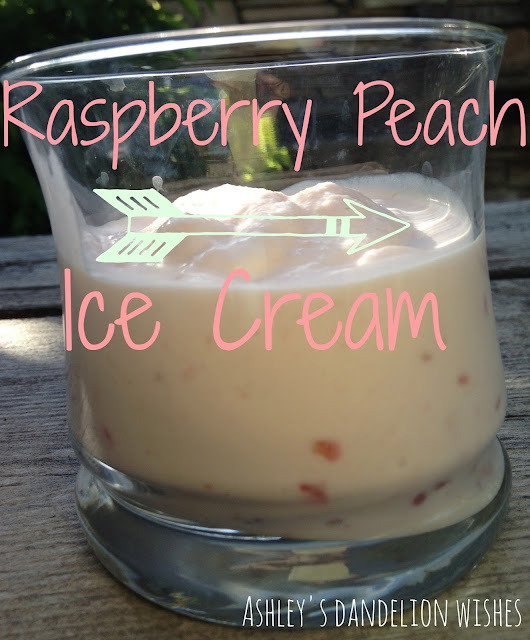 Ashley's Dandelion Wishes shared her yummy Homemade Raspberry Peach Ice Cream. 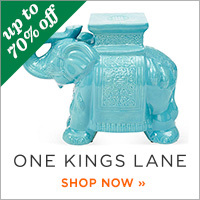 Perfect for these sizzling hot summer days! Thank you so much for sharing your fantastic posts with us this week. If you were featured, you can grab a feature button from the Pick of the Bunch Post! Kathy, it's fabulous to hear good news about your mother! My grandpa just beat cancer too. It's a glorious feeling! Thanks for keeping us posted! So glad to hear that your mom is on the road to recovery and is cancer free. Cheers to you and your family! 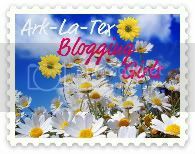 Thanks for doing all that you do for the blogging community! We appreciate it deeply! Hi Kathy, thank you for featuring my Summer Treasures, lovely to see today. Good news indeed about your Mom. Thanks also for hosting, always a pleasure to join in. A blink and summer break is over. Appreciate you hosting when you have so many other responsibilities. Thank you for hosting another week! So appreciate it! Also very happy to hear your news regarding your mom's health. Kathy, so happy to hear the great news about your mother!! I'll keep her in my prayers. Thanks so much for hosting...glad to link up! Hello, thank you for hosting this party! So happy to hear about your mother, and hope you and your father may now rest easier! Thanks for the great linkup! So happy to hear about the improvement of your parents health. Very cute features! Thanks for the cool party. Have a blessed Sunday. 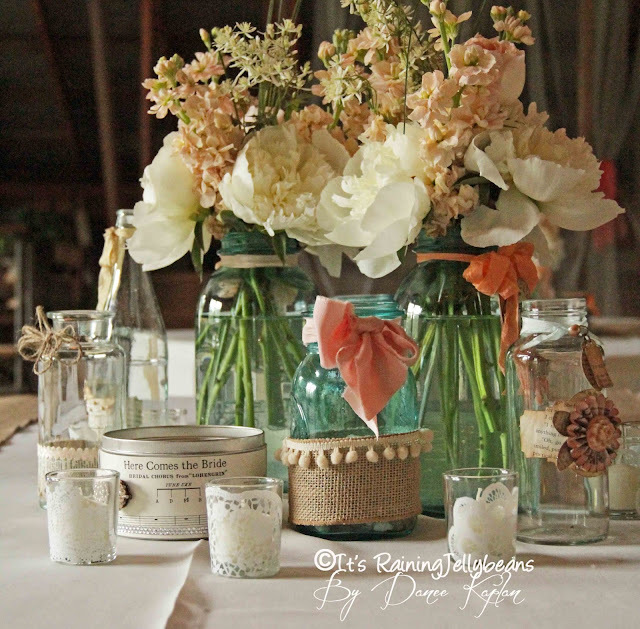 I love the featured flower arrangement, Kathy! Joining the link up now. Your family is so blessed with that good news! A great week ahead! I am also trying to build a stand alone shop ( www.PostcardsInTheAttic.com ) that is struggling if you could stop by and show it some <3 I would greatly appreciate it. New follower! Great party, thanks for hosting. Lots of inspiration here! Thank you so much for featuring my Peaches & Cream end table. I'm so glad everyone liked it. Thanks for hosting again. Wonderful news about your mother Kathy! I wish her a speedy recovery. It has been very hot here in Jamaica but at last we have been getting some well needed rain in our area. The funny thing is that the minute we purchased a truckload of water for our tanks that is when the rain started! :) Take care and have a great week. Lovely features! 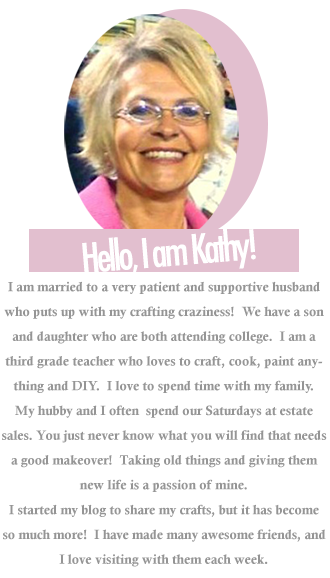 Thank you, Kathy, so much for hosting each week. I am so glad your mom is cancer free! What a relief, I'm sure. It's hot here too. I'm ready for Fall to get here! Thanks for the party every week! I love the features! Now to mix and mingle. What a lovely flower arrangement! 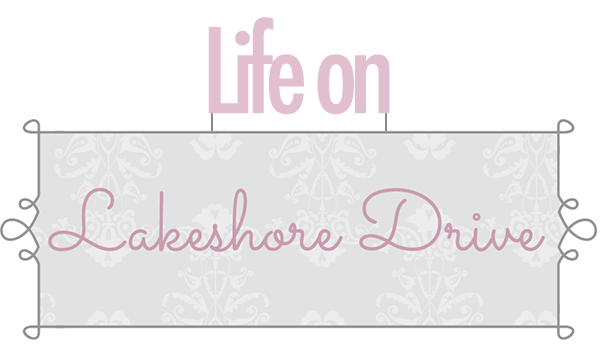 Just started following your blog and love it maybe you would like to check us out and follow back? 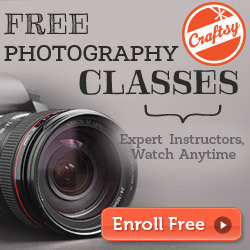 new to your great blog and party,cannot wait to join in!